Send A Message To Dharshini. Dharshini graduated with a Bachelors of Science in Psychology and Biology from the University of Toronto. She then completed her Masters of Arts in Counselling Psychology at Yorkville University. Dharshini enjoys working with people to achieve a sense of overall fulfillment. Using warm and encouraging support, she allows people to rediscover their confidence, find life balance and enjoy every aspect of their lives.She firmly believes that each person’s story is unique, and that using an integrated approach is often ideal to maintain long term success. 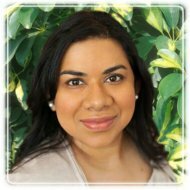 Dharshini is a registered member of the Ontario Association of Consultants, Counsellors, Psychotherapists, and Psychometrists (OACCPP), and College of Registered Psychotherapists of Ontario (CRPO). Dharshini has worked with individuals and couples, and her experience includes working with women and men suffering from abuse and trauma, men and women with anger management issues, depression, anxiety, low self-esteem, stress management, post-traumatic stress, marital issues, and relationship issues. Dharshini feels strongly that cultural awareness is important in building a therapeutic relationship with her clients, and has had training in cultural sensitivity and experience working with culturally diverse groups. Her private practice, Chanderbhan Counselling Services, consists of registered psychotherapists, counsellors, clinical therapists and psychological interns that are dedicated to help you achieve your therapeutic goals.